As per the survey, India is one of the topmost global destinations for foreign investment, despite recent headwinds. The main growth drivers are its educated workforce, solid domestic market and competitive labor. Recently, we participated in Trade shows held in Pragati Maidan, Delhi- Annual World Dental Congress, MMMM Expo, Light India event and there we got to know that almost every company outside India needs a person who can fulfill their dream of diversifying business to India. About a fifth of answers say that India accounts for more than 20% of their total capital allocated for the developing world. According to the survey conducted of 500 international investors, India featured eminently in many of respondents’ plans for the future. More than 50 % of the respondents have planned to enter or diversify their existing business operations in India over the next year. Investors are choosing India for both their services and manufacturing supply chain. With the services sector forming the main support of India’s economy, the government of India is giving more importance on strengthening the manufacturing ecosystem of country. Research shows that investors, all over the world are recognizing relevant efforts, with the vast majority expecting India to be a major manufacturing hub by the year 2020. And for let it happen, few things need to get implemented including currency stability and ease of doing business, the environment must be more enabling and measures on other competing issues. India remains a top market for FDI globally, According to Ernst & Young’s attractiveness survey, India 2014: Enabling the Prospects, India’s share of global FDI investment in 2012 was 5.5 % in terms of value and 6.3 % in terms of projects. India accounted for 9.4 % of jobs created by FDI worldwide in the same year. India’s talent pool is increasing continuously; as per the estimates, there was an addition of approx 4 million graduates in 2011. With the recent govt. education policies intending to expand the no. of educational institutes in India, this figure will be assumed to rise in the upcoming years. Telecommunications, Media and Technology (TMT) is the most enchanting sector for investors, followed by business and industrial services. While it will remain the leading business sector, investors expect the industrial and infrastructure sectors to be more ‘indulge-worthy’ in the next few years. India’s appealingness lies in its, profitable domestic market, competitory labor costs and as mentioned above, its skilled workforce. Foreign investors also honour its strong management and education system, and its improving telecom infrastructure. However weaknesses of the country are its a restrictive operative environment and under-developed infrastructure. Respondents to our 2014 survey expect India to be among the top 3 economies of the world by 2020, particularly for economic growth and manufacturing. Positives such as increasing domestic consumption levels, growing middle class, and a skilled workforce are helping India strengthening its top position in the global market. India’s dynamical standing in the worldwide market is set to get strengthened further in the time to come. We believe that India will continue enjoying solid growth and developing particular strengths in infrastructure and manufacturing. We are proud to be a network of 6000+ businesses to accomplish their business expansion goal and more than 18000 aspirants are applying for business opportunities as a distributor/ franchisee/ sales agent. Companies named Zoono Group Limited, Deeaar Esjay Enterprises LLP, Consucare Inc Sdn Bhd, Cobb Clothing, IFB Agro, SMGK Agro Products and many more are accomplishing their business growth goals with us. Browse our portal and have a check on the exclusive businesses registered with us. We helped many Indian as well as International Businesses in their business expansion from various industries e.g. 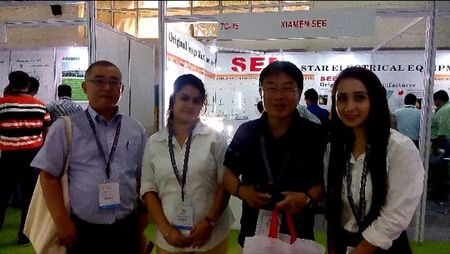 Garments, Machines, Food & Beverage, Health Products, Pharmaceuticals and many more. 10 Comments on "India as an Incredible Investment Destination for International Companies"
was a great experience , interacting with so many international companies…..
After the speech of our Honorable Prime Minister Narendra Modi at Madison Square Ground, its crystal clear that India is going to be the business hub for the whole world in recent times. Awesome post I have found some cool ideas from your post that might help me to future. Exactly! Our India is actually the hottest investment destination…And now, when Modi is ruling the country, It will become a golden bird again. The information in this blog is quite efficacious and copious for those who are looking to expand their footprints in the Indian market. Liberalization in FDI rules by the Indian government in the various sectors of economy has ravished the dreams of multinational companies who are keeping their focused in the Indian market. Yes, very true. India is being a market of opportunity not only for domestic companies but international too. Seen a good growth in last few years in each sector. I find many opportunities on your portal, can you let me know the process of registration. Now that’s called a good decision. Can we help you Mr. Shiva Prasad in any of your business need?